3. Rom Map from Data Cristal. 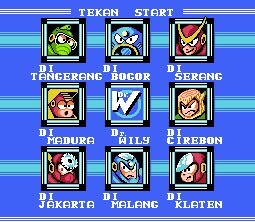 (I’m Indonesian, sorry for my English). 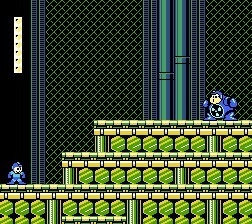 Please patch this ips file into Megaman 2, not Rockman 2. 1. The graphics have changed. 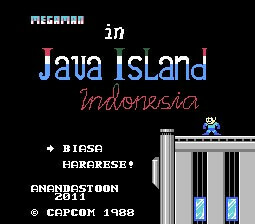 The setting is in Java Island, Indonesia. 2. The 8 weapons, have changed to. 3. The boss behavior and weakness. 4. Some instrument of the BGM. 7. 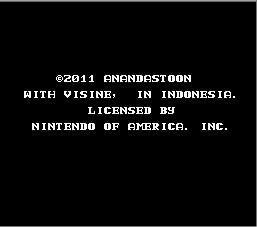 The text, In Indonesian. with id: ANANDA MAULANA ILHAMI or ANANDASTOON. I’M GLAD IF YOU TRY IT!! !